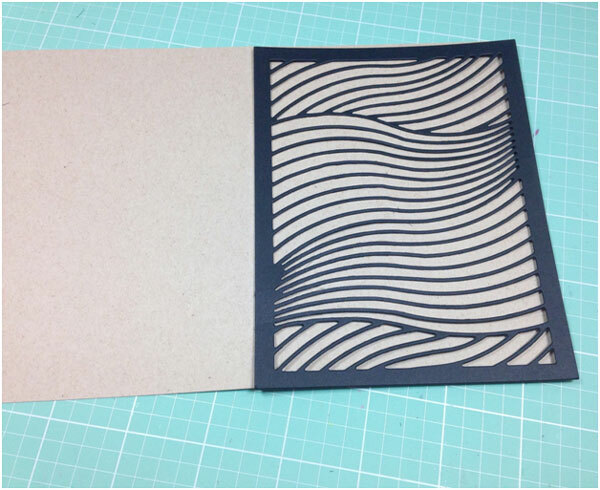 I first die cut the Waves die into black cardstock. 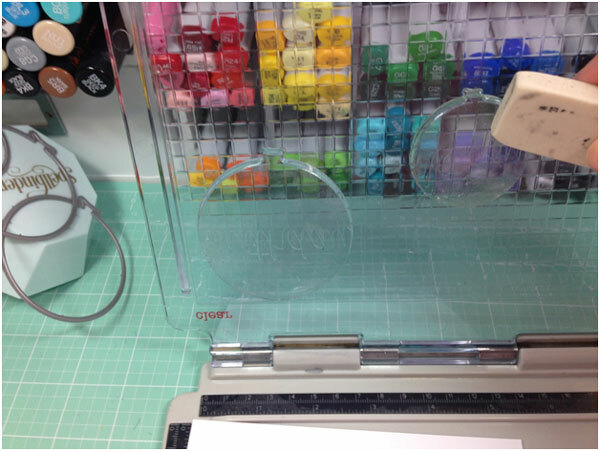 Be sure to add a metal shim or extra card stock layer to your die cut machine to ensure a clean cut. I then used a piercing tool to pop out the wave pieces. I adhered the die cut to a note card I made using kraft colored card stock. 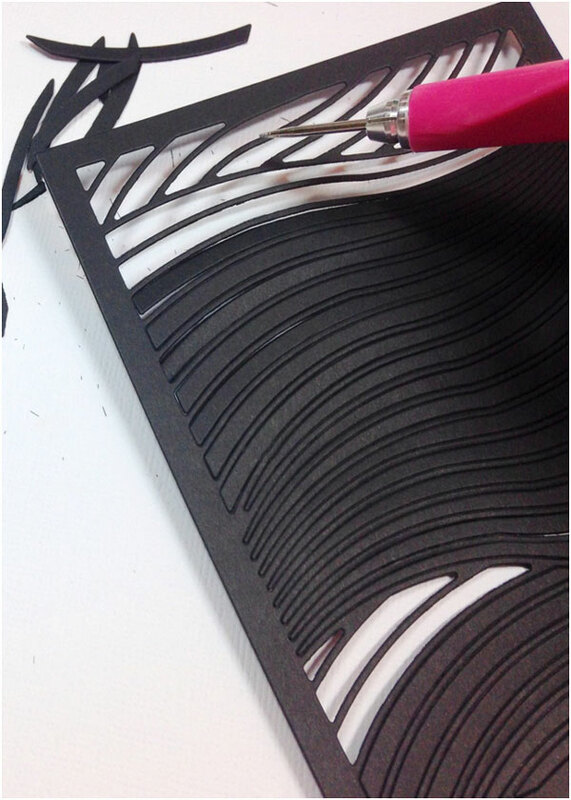 I just used liquid Tombow glue on the framed area of the die cut since the “waves” stay pretty flat. 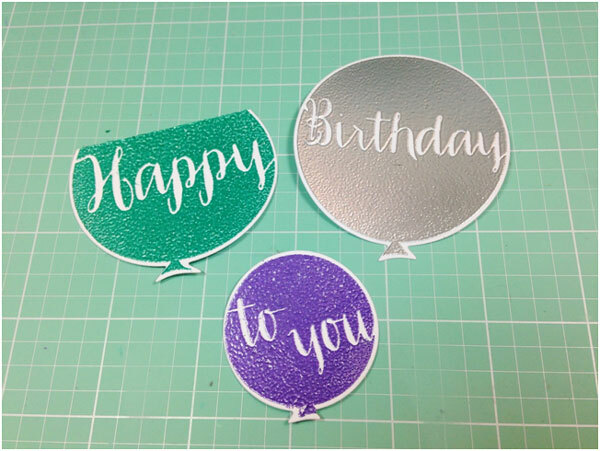 Next, I stamped the 3 sentiment balloons from the Balloons stamp set using my stamp platform and some Versamark ink. A helpful hint I learned a while ago for solid stamps like these is to run a gum or white eraser over the top to “season” the stamp for the ink. This will help give a clean impression. 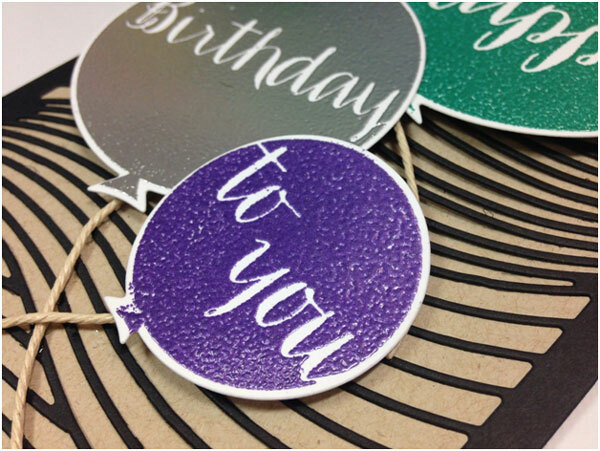 After stamping the balloons, I heat embossed some silver, green and dark purple embossing powder over the tops. Any dark colors will do. I thought these looked nice with the kraft and black background of the card. 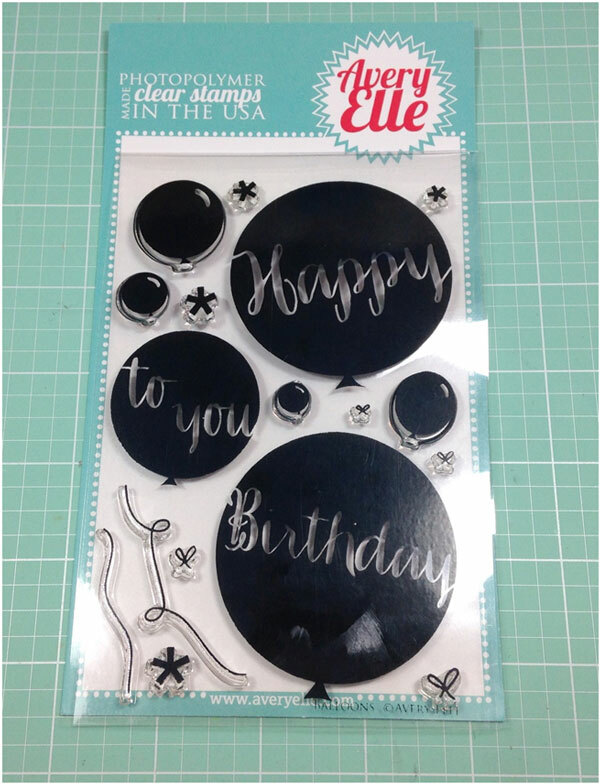 To cut out the balloons, I used the matching Balloons Dies, but you could easily fussy cut the stamped images. For the “happy” balloon, I trimmed off the top so I could line it up with the frame of the background die. I adhered the balloons down the front of the card with some foam squares—overlapping to add interest. 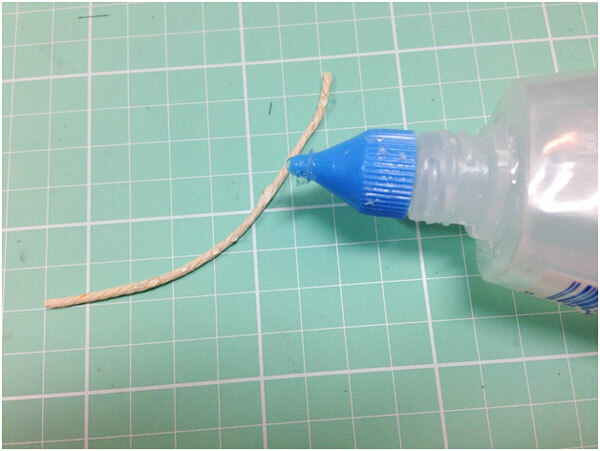 For a final touch, I ran some Tombow Aqua Glue along small pieces of stiff twine and adhered them as strings to the balloons. 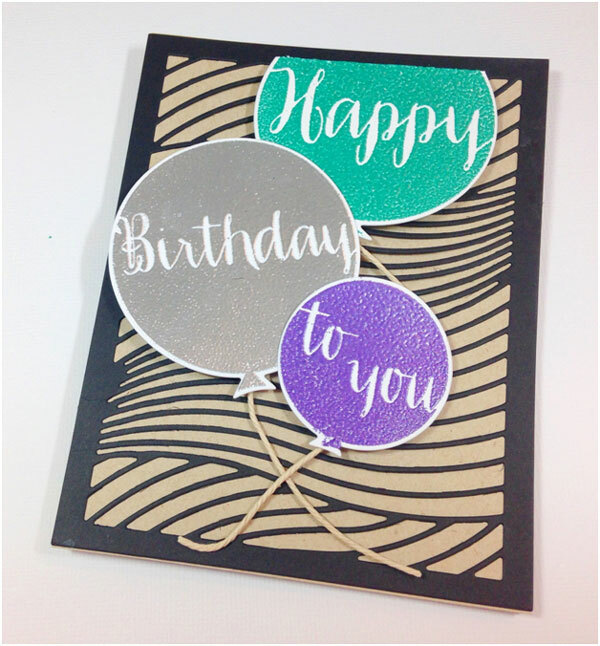 I love all the shine that the heat embossing gives to the dark colors of the balloons. 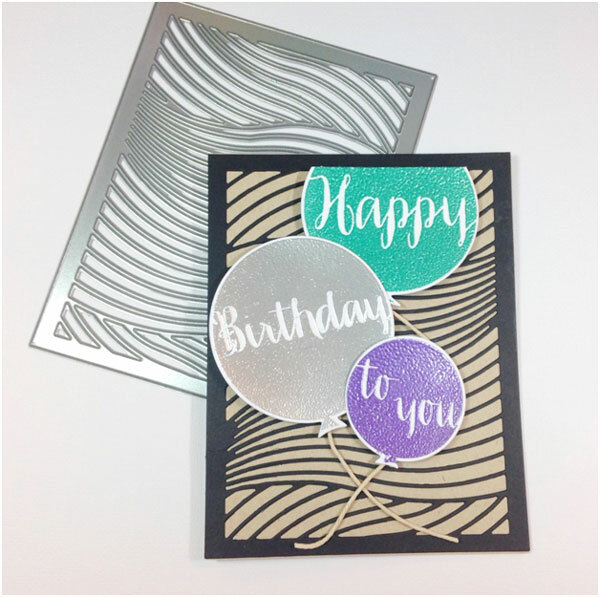 The background die gives a great additional layer of texture too. Thanks so much for joining me today. I hope today’s project inspires you to experiment with different color combos that you don’t normally use to create some fun new projects!